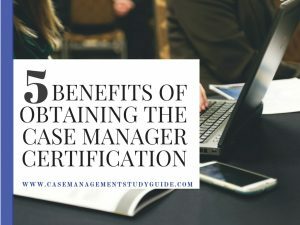 Have you decided to take your nursing career to a new level by becoming a case manager, but you’re still wondering if obtaining certification is really needed? It’s a valid question to ask yourself. There are so many factors to consider. When will I study? How will I pay for the exam? How will I make sure I complete the continuing education requirements? Answers to these questions will require a solid plan. When you consider the expanding need for certified case managers including the growing elderly population and the growing number of chronically ill patients, finding a way to get that certification is a good step in your new nursing adventure. Here are a few reasons to become certified. From that first successful IV stick to walking the line at graduation, every time you master a new nursing skill you feel great. Obtaining certification is a mark of distinction that proves to you, your patients and the healthcare system you have acquired the knowledge to provide experienced case management to those you serve. As healthcare continues to advance, the need for certified case managers who have the knowledge and skill to manage complex cases while saving time and money will increase. From the increasing elderly population to more cases of chronically ill patients needing help navigating the healthcare system, the demand for certified case managers will continue to rise. In a survey of nurse managers, 86 % indicated they would hire a certified nurse if everything else was equal.